The general terms and conditions of sale, ordering and delivery of Intracare B.V. The general terms and conditions of sale and the terms and conditions of delivery and ordering of Intracare B.V. as enclosed are applicable unless expressly stated otherwise in this quotation or another legally binding agreement. Intracare B.V. requires that each of its employees, agents, representatives or distributors conduct their business in accordance with Intracare’ s core values, in compliance with all applicable laws and in a manner that reflects favorably on Intracare’ s companies, products and brands. Adherence to these core values and compliance rules is a condition of doing business with Intracare B.V.
Enclosures : Ordering and delivery terms of Intracare B.V.
: General terms and conditions of sale of Intracare B.V. Ordering and delivery terms and conditions Intracare B.V.
Intracare supplies a range of top quality products with associated services. 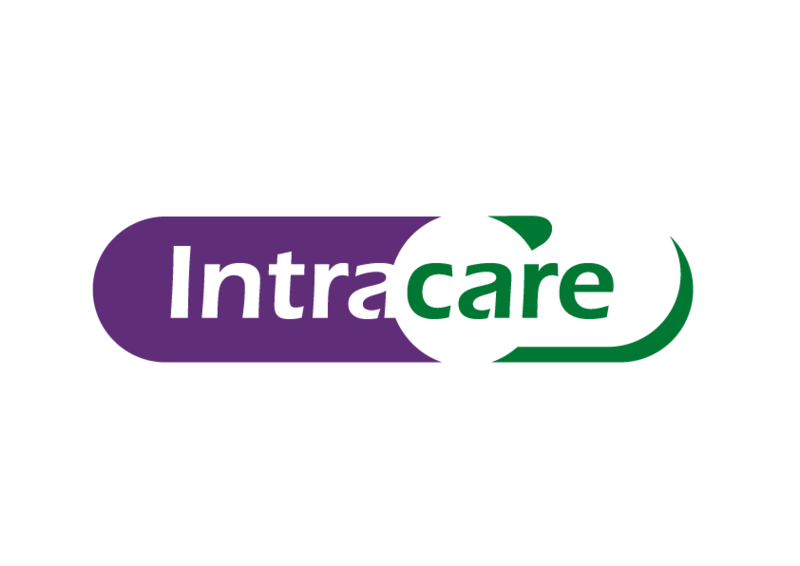 Intracare also offers its customers the choice of combining the standard service package with options and of adapting the service level to suit their needs. An overview of our terms and conditions of delivery and ordering is given below. We offer a complete range. Customers have a choice of over a wide range of articles in our top quality product range. Intracare provides services as described in this document. Unless stated as an option, these services are a part of the Intracare service as offered. Price list available by the responsible Sales Manager. Price list given by the responsible Sales Manager are valid from January 1st until December 31th yearly. In the case of unexpected increases in freight and/or raw materials prices, Intracare reserves the right to revise the pricing with a period of notice of four weeks. A rush order, is an order placed with a requested delivery date at less than the standard lead time for delivery (SLT). The SLT is calculated based on production lead time, pick/pack time and loading time, and therefore may vary. This service offering is available provided that the accommodation is internally feasible. Shall be for the account of the purchaser, unless otherwise agreed. In case our standard quality assurance is not sufficient you are able to request a customized audit in our plant. A one-day audit can be scheduled in consultation with your Sales Manager. If our standard documents do not comply with your specific wishes, we will prepare and deliver the necessary documents. The costs for customized documents as legalisation by the Embassy or other institutes will charged. A Certificate of Analysis is a document issued by Quality Assurance which can be applied upon request. Packed products are supplied on non-returnable pallets. Your Sales Manager is your primary contact person in Intracare and is at your service. Our Customer Service Team is at your disposal for dealing with customer orders, logistics, and customer service. Customers notify Intracare annually of the quantity of they are likely to purchase. These quantities are to be taken at an even rate over the period of the contract, unless expressly agreed otherwise. Customers can choose to communicate by telephone, e-mail, and fax. 30 days net of invoice date, unless otherwise agreed. Invoices can be sent by post and/or e-mail. The maximum delivery time will depend on the type of product and are available at request at our customer service department. Intracare products are made according to the highest quality standards. Quality certificates relating to purchased products are available for customers. There is a technical support team ready to respond to any complaints and/or questions you have. Tracking & tracing data can be provided upon request. Intracare takes immediate action in the case of emergencies. In other cases responses will be provided within 5 working days. Intracare is an innovative company and wants to respond to the future needs of its customers. If desired, in consultation with your Sales Manager, a review can be made about how Intracare ’s know-how can be used innovatively for customers. On request we provide our customers within 10 working days advice about the use in their (possible) applications. This document contains an overview of our supply on offer and is a supplement to our general terms and conditions of sale, but cannot be considered complete. These General Conditions of Sale shall be applicable to all offers, order confirmations and deliveries by the legal entities of Intracare, (hereinafter referred to as “Seller”) and shall form an integral part of the sales agreement between Seller and Purchaser. No other general conditions shall be applicable or set aside these General Conditions of Sale unless expressly agreed to by Seller in writing. Commerce, as at the date of the sales agreement. Title to the goods shall pass to Purchaser in accordance with Article 4 below. shall be deemed correct unless proven to be incorrect. which Seller shall be entitled to charge Purchaser an appropriate lease fee to be determined by Seller. purchase price has been paid in full already. 4.3 The risk of loss of or damage to the goods shall pass to Purchaser on delivery in accordance with the agreed delivery term of Section 3.1.
agreement but prior to the agreed date of delivery, Seller shall have the right to adjust the price accordingly. sales agreement within seven days of receipt of each such notice. Purchaser of the amount or amounts due, shall be for account of Purchaser. Section 6.1, in the chronological order of the due dates of the debts. Upon receipt of the goods, Purchaser shall inspect the same, by analysis or otherwise, exercising such care is customary or appropriate in the circumstances. Any claims concerning the quality or quantity of the goods delivered shall be submitted by Purchaser to Seller within 8 days from the date of receipt of the goods. Goods shall not be returned to Seller without prior written consent of Seller. Neither party shall be deemed to be in default under the sales agreement and no liability shall result from non-performance of the sales agreement, if and to the extent the non-performance is caused by circumstances beyond the reasonable control of the failing party, including, but not limited to, war, fire, explosion, terrorist attacks, storm, flood, earthquake, sabotage, acts of government, labor disturbances, shortage of energy, raw materials and means of transport, breakdown of machinery and plant start-up problems. In case of export sales the sales agreement shall be governed by and construed in accordance with the rules of the United Nations Convention on the International Sale of Goods and complementary thereto by the laws of the country where Seller is located. All disputes with respect to any sales agreement regarding export sales shall be exclusively submitted to and finally settled by the competent court of Seller’s registered office.